Under the Sovereign Great Priory of Canada, one must sign a petition stating he is a Trinitarian custom. It's re-affirmed verbally by the candidate in at least two of the orders. There's no wiggle room. It's very emphatic. "The Undersigned further confirms, insofar as his petition relates to his becoming a member of the named Commandery of Knights Templar, he is a firm believer in the Christian religion." Therefore a non-Christian Mason really can not, in good conscience, join the Knights Templar. But I see absolutely no reason why he could not join the Royal Arch chapter and Cryptic Masonry council as these focus more on Old Testament stories. That said, I can say that as a Christian, having complete the York Rite has very much strengthened my faith in Christ. I find this incredibly interesting. I myself tend to follow a Buddhist path, although I believe Jesus was a great teacher. I am in the process of moving through, Chapter, Council, and still have not decided if I should proceed. If you take these degrees as literal and not as they are intended (allegorical spiritual alchemy) then yes, as a non-Christian I would have zero interest in them. Fortunatley, literalism is not what Ritual is all about. Now, it seems as if the institution is hell bent to make sure that the applicants are literal Christians so it all might be a moot point. Brother BC if I may peacefully refute a point. You state, "If you take these degrees as literal and not as they are intended (allegorical spiritual alchemy)..." The idea that the degrees of the commandery are alchemical in nature is just one school of thought, the complete consensus is not in that that is the "intended" meaning. As quoted from the original post, "The candidate is asked, "My Brother, do you believe that the Savior died on the Cross for the remission of sin?" The Prior says, "in the name of our Holy Religion," implying that all present are of the same religion, and that it is "Holy."" I personally cannot state whether this is the ritual used now, I have not joined the York Rite yet, this spring! But it seems like these are quite literal questions. Upon the application, there was the question whether I am a firm believer in the Christian faith. I have heard of wiggle room being granted to people who would defend the Christian Faith who are not necessarily Christians. But in my reading of the application, it seemed like a literal definition of Faith. I have come to find that all Masonic Ritual are alchemical recipes. Kind of like a safe, the numbers of the combination are not the item of main importance, it what is inside the safe that counts. The combination allows you to open the door. The same with Masonic ritual. The literal words and the profane definitions of that grammar are not important, it is what is concealed by those words that is indeed the heart of the work. 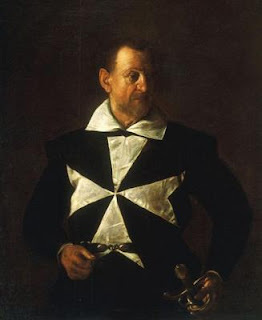 Now, with that being noted I do find the American Templar degrees to be not really my cup of tea, but I am highly interested in the original French Templar degrees. I would agree that symbolic meaning transcends beyong literal meaning in many parts of the ritual. The area where I believe this issue becomes most problematic in a literal sense is when prayers are offered, particularly group prayers that are not part of the historical drama of the degree. I would be amazed if there's even one Mason who wouldn't agree that the prayer we offer at opening and closing of Lodge is intended to be an actual prayer. While it may contain symbolism in its language, the idea is that the brethren of the Lodge are praying together. This is quite different, for example, from the dedicatory prayer of the Temple that King Solomon offers in the Most Excellent Master Degree, which -- while it may be interpreted literally in some aspects -- is clearly a historical re-enactment. So if the prayer said as a group is offensive in some way to the individual brother, that is a hard situation to work around. Also, questions posed directly to the candidate which ask things like "In whom do you...", or "Do you believe," or "Is it of your own free will...", are indeed literal, and are expected to be answered without equivocation. In my jurisdiction there are many non-Christian Templars. When speaking with one (who was Jewish) about the questions regarding the defense and belief in the Christian faith, the Sir Knight stated that he can by way of personal interpretation be in line with his religious beliefs and the Commandery Orders. "Defense of the Christian Faith - I would defend the Christian faith as fervently as I would the Jewish, Muslim or any other faith because they all deserve defense from persecution. Religious persecution is intolerable in any respect, therefore defense of religion is admirable and in a Masonic sense, a duty. About belief in the Christian faith - The Christian faith is a fine faith, as are all faiths. Because faith is one of the main tenets of the Masonic fraternity, I cannot disregard other faiths as being inferior to my own. Therefore, even though I am a Jew I can still believe that the Christian faith is good and applies to me as it does anybody else because the universal truths as espoused by all faiths ring similar and true, therefore all are applicable to everyone. Furthermore, depending on the wording of the application, you may distinguish the difference between religion and faith. Whereas I do not follow the Christian religion I cannot swear to do so, but I can with all good conscience as a Jew believe in the faith of Christians because it is the same as my own. Prayers with "our Lord and Savior" and references to "Him dying for our sins" - I see these ritualistic elements in the Commandery Orders as being no different than the attributes and characteristics of the other deities described in other degrees. Also, because I do not believe that the statements are false, I have to see them as truth and while being statements of truth I am able to see the value in them. Even though as a Jew I do not believe Jesus was the son of God, nor was he divine, I can still see Jesus as a Lord, and I can see him as a savior. There is no doubt in my mind that the teachings of Jesus have saved many people in many ways so I cannot disregard those achievements as a fallacy, as such he is indeed a savior. The same goes for his status as a Lord. This same sentiment may be compared to those of a hero. A hero may be a hero to some and others not, but if heroic actions merit such a title we cannot look for falsehood in such a title because of our own disposition." I hope this helps, what I would do is find some non-Christian Templars in your jurisdiction (I would be surprised if there are none) and just talk with them about their experiences in the Commandery. Templar: You know this is mainly a Christian organization and most of the members are Christian, right? Templar: And that we refer to Jesus by name as our Lord and savior, and that he died for our sins. Non-Christian: Well, he is your savior and he did die for your sins, who am I to say he didn't? Templar: You have to swear to defend the Christian faith, are you okay with that? Non-Christian: Those are good histories. Non-Christian: It's a decent faith, too. Templar: Well, I just want to make sure you can be comfortable with all of the Christian references to ensure you won't take offense. Non-Christian: It's no problem with me. Templar: Do you like wine? Templar: Great! You got $100? Templar: Excellent! I'll get it from you Wednesday at the Lodge. Hi I was just curious. it looks like certain jurisdictions will allow non-christians and certain jurisdictions will not. Does anyone know the ones that do allow non-christians. In particular Massachusetts in California, and if they don't where do they? I am a member of the Masonic Order and believe that their assesments are wrong, because their belief in God is considered as a requirement for admission and even if you are not a practitioner, dedicated and very studious. The teachings and values of the Freemasons, would have made you a better man that truly lives the Christian principles and values. and have approached members of various lodges and it seems to me that I aren't very accepting of occultists. I am not an athiest but I'm pretty darn far from being a christian. This has been a dissapointment for me, as my grandfather was a Mason and I always thought it would be cool to continue that tradition. Huston Smith, religious scholar, explains, in his Hierarchy Of Religious Experience, that mystics of all traditions have more in common with each other than they do the literalists/fundamentalists of their own tradition. I follow Huston Smith's creed (I heard him explain to a young woman after a lecture, when she asked him): "If all the great traditions are true, which do you follow? ), He replied: "I consider myself a member of each and every great spiritual tradition as long as membership in that tradition does not exclude my membership in any of the other great traditions." I have no issue, personally, in professing a belief in Jesus Christ, but I do support a non-sectarian, modern and mystical view of religious experience. In Asia, an individual following multiple traditions is not unusual. In Japan they have a saying, "A Shinto Priest christens you, A Christian Priest marries you and a Buddhist Priest buries you." Sorry, I forgot to check "email followups!" LBCGreaser, you don't have to be a Christian to be a Freemason. You only have to have a belief in God, as you interpret him or her. About God, here is a quote from John Odonohue: "n Middle High German, Meister Eckhart says, "Gott wirt und Gott entwirt" — that means, "God becomes and God unbecomes," or translated it means that God is only our name for it, and the closer we get to it the more it ceases to be God. So then you are on a real safari with the wildness and danger and otherness of God." To be put in our context: God is not sectarian. The more you try to own him, the farther away he gets. Hello, I am a non-christian mason. I have been thinking long and hard on the chivalric degrees of the york rite. Some have suggested that I see the Christian elements as symbolic, just as the use of the term Bible for the book upon the altar. This is the decision I have come to: It is a Christian order. I am not. I will not, by secret evasion of mind, taint the integrity of those orders with my arrogance and ambition, not taint my own integrity by letting my passion for more light escape the bounds of the compasses.